You don't have to break the bank to have the wedding of your dreams. How do you get started? 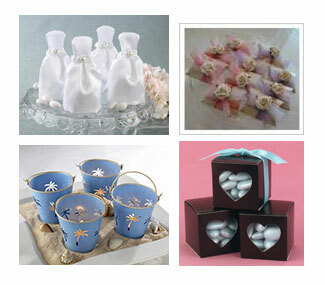 Read on, and learn how to incorporate 10 big-but-cheap wedding ideas into your small budget. Make a statement by using only one flower type in your centerpieces and bouquets, your favorite flower (or the one who's colour best matches your overall wedding theme) - and only it. This looks best when your one flower is a "full" flower, such as all hydrangeas or large-headed Gerber daisies. This reduces your cost by more than 25% because the florist doesn't need to do extensive arranging. 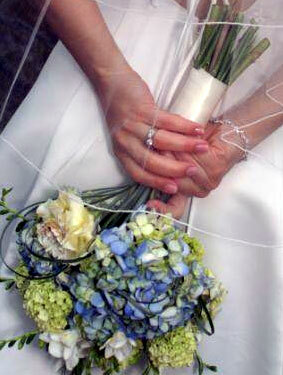 Choose the trendy style of hand-tied bridal bouquets, which are less labor intensive and less costly to make. Have your favours double as centerpieces by wrapping them in colorful paper or decorative boxes then stack them pyramid style in the center of the table. 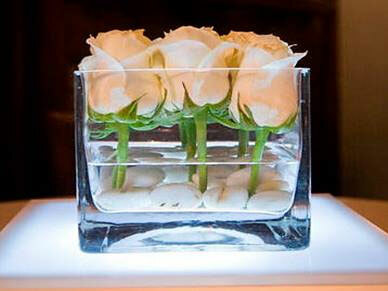 Sprinkle rose petals over this artful display and surround it with a few votive candles. So you can save a bundle by not purchasing floral centerpieces at all! 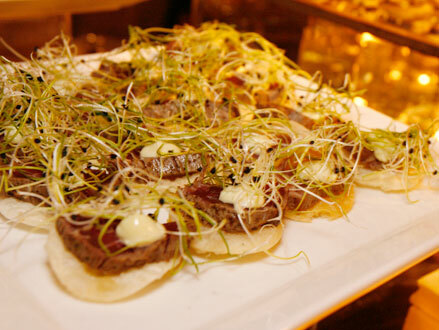 Want the appearance of an abundance of food at your wedding? Serve it in a "family-style" buffet and save between 15% and 30% on your catering bill, which is usually 40% of your overall wedding budget. Host a trendy hors d'oeuvre party - with such delights as jumbo shrimp wrapped in bacon and baby lamb chops - instead of a sit-down dinner. There will still be plenty for guests to eat, and you can cut your catering cost in half. Food stations eliminate the need for serving staff as well as a lot of cooks in the kitchen. If a sit-down dinner reception is a must for you, consolidate the courses of your meal. You might opt for a pasta/salad combo of tricolor pasta over mixed greens, or an appetizer/salad combo of salad topped with fruit or cheese. Fake Cake? Have your baker create a replica of his or her most elaborate cake in cardboard and frosting to put on display, then serve your guests from sheet cakes (kept out of guests' view, of course). No one will know, we promise! Ask a top photographer for a referral. Tell the photographer you'd love to have him or her shoot your wedding, but can't pay their price. Often, you can get an up and coming photographer for half the price of a seasoned pro. Hire a top videographer familiar with lighting sound systems and the protocol for shooting a wedding, but buy only the unedited video. You can then hire a film student or budding video professional to edit the video to your liking. Have a small, elegant band that makes a statement--such as a string quartet or even a solo harpist--to play during dinner, but hire a disc jockey to get the party rocking for the remainder of the evening.